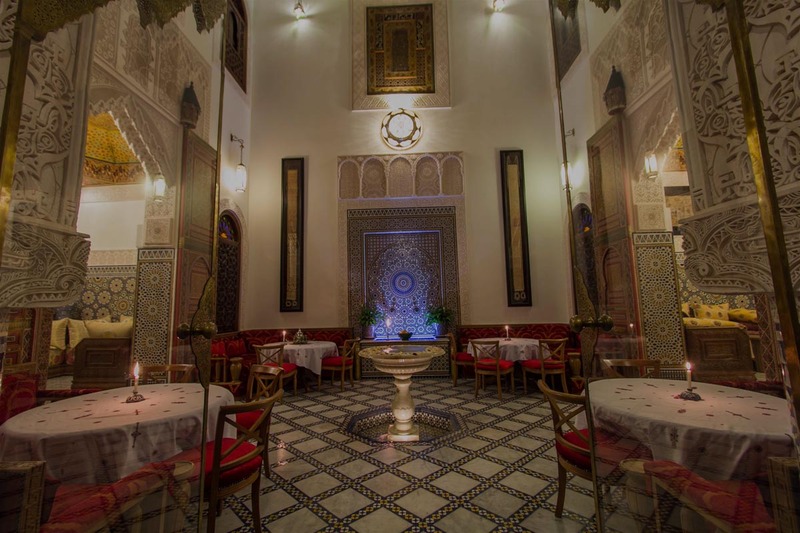 In its long and often eventful history, that spans over 12 centuries, the Kingdom of Morocco was dominated by a succession of dynasties, one of them being the Saadian, established in 1549 and ended in 1659, leaving the Kingdom at its climax, with an important architectural treasure which still witnessing this Moroccan golden age. 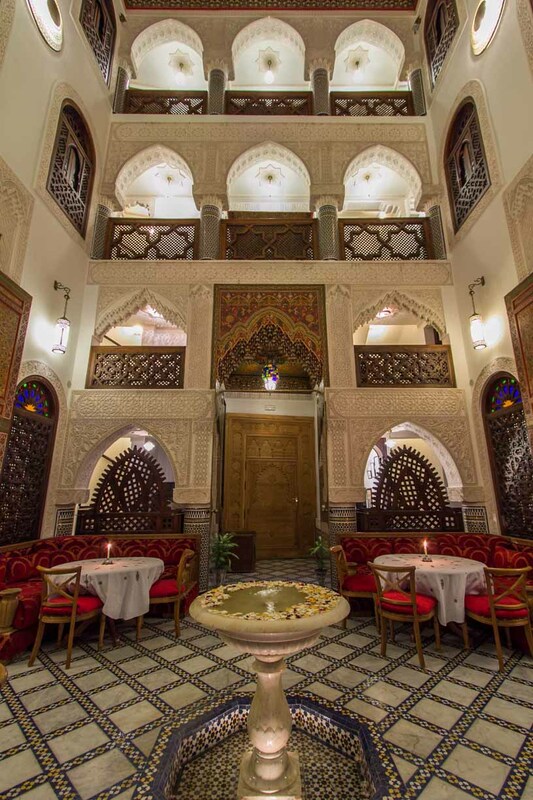 Whatever, Riad Mazar is connected to this fascinating part of Morocco’s history, it is more than 150 years old, providing a good example of authenticity amalgamating with modern times. 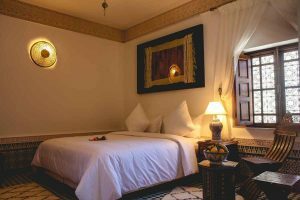 The riad was a pure-blood family’s property descendants of the Saadian dynasty before being purchased by Bouzidi family, who has been working in hosting for many years, and has established a reputation for excellence and are acknowledged for offering quality and value. 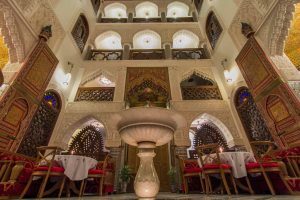 Conveniently located in Fez, at the doorway of old Medina, within just 3min walk from the “Bab Boujloud” square, The Bou Inania Madrasa and a number of city’s major attraction. 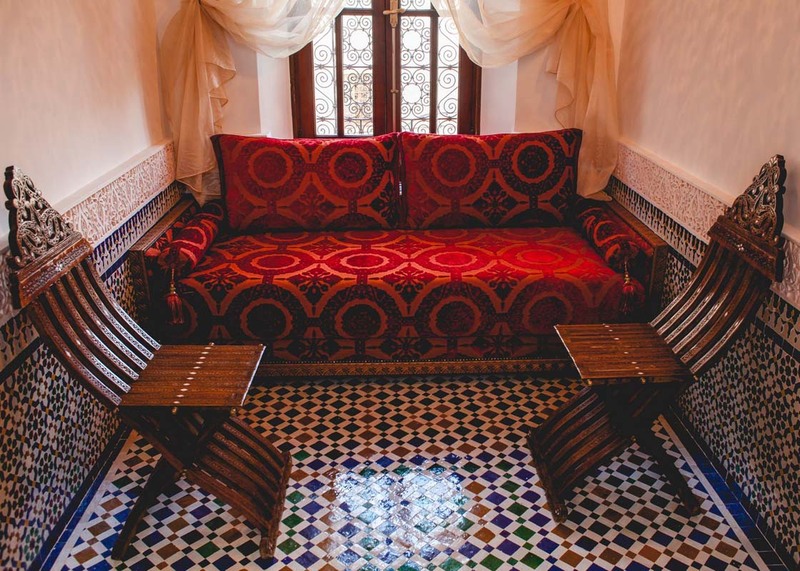 During your stay, you will discover a beautiful traditional Moroccan house that has been refurnished to create an elegant arabesque atmosphere. 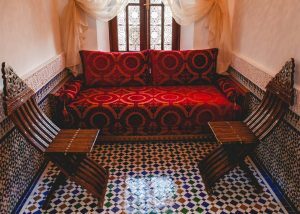 This beautiful riad combines tradition with comfort to create unique and pleasurable place to stay during your trip to fez, morocco. 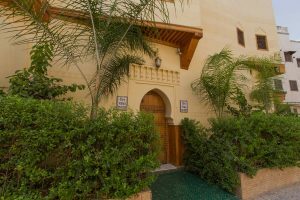 The ground floor of the riad is centered on a tiled courtyard that serves as two rich Moroccan lounges surrounded by large intricate wooden pillars. The magnificent wooden ceiling stained with vibrant color attributes to the memory of traditional Moroccan architecture. The two Moroccan salons in both sides, give a magical feeling to your meal, with colorful ceilings and a floor coated with Zellige and a breathtaking view over the two colorful fountains at the center of the patio. 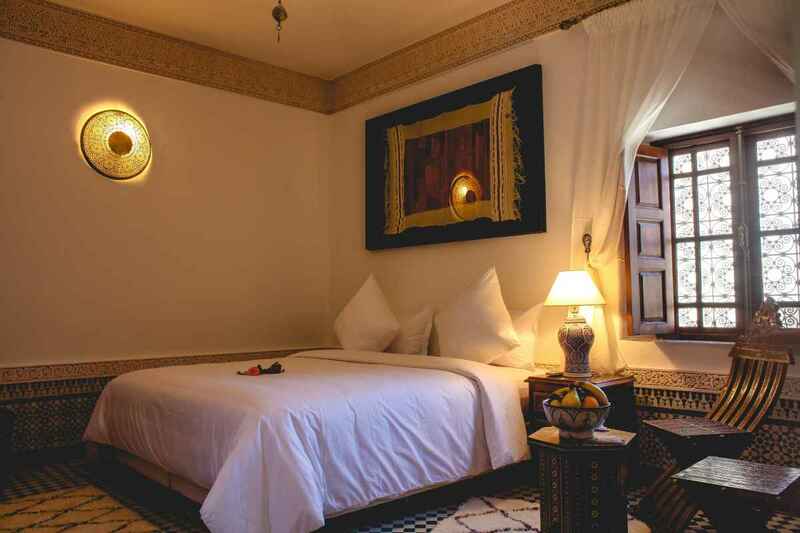 Upstairs are six well-furnished bedrooms, each has its own splendor and able to be considered a work of art; and a balcony overlooking the patio and surrounded by hand carved plaster. 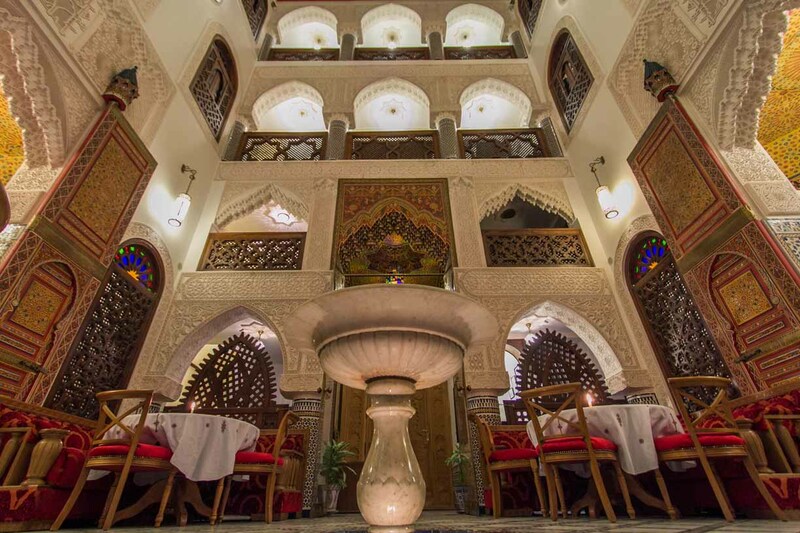 While the spacious terrace is waiting to give you the rhythm of the old Medina of fez as you eat or just enjoy the peace of the Medina’s ancient buildings and the warmth of Zalagh Mountain in front of you.